With average hourly pay for HVAC Technicians coming in at an impressive $20.22 per hour, starting your HVAC training and certification process certainly sounds appealing. With ongoing demand in the industry for skilled technicians, job security and increased pay over time has become synonymous with HVAC. In the state of Oregon there is an expected 20% increase in job availability projected to take place over the next decade. Want to find out the specific requirements you’ll need to work in HVAC in Oregon? After completing your formal HVAC education at a technical school or an apprenticeship, you will want to decide between getting your Limited Maintenance Specialty Contractor- HVAC/R license and your CCB (commercial and residential contractor) license. What is the difference? This license does not require you to take an exam. Instead it is a three-year license you simply apply for with your board. The license costs only $75. The scope of this license is limited in the sense that energy installations are confined by the signing supervisors’ license limitations. If your supervisor or the project supervisor does not have more expansive licensing, it can restrict a company, and therefore your ability as a technician, to work on larger projects. What the license does allow a company to do: maintain, service, repair, or replace commercial and industrial electrical products that use fuel or other forms of energy to produce heat, power, refrigeration, or air conditioning. You can schedule your exam once you have completed your 16 hours of required education. The course will not only provide you with the tools to successfully manage a project from start to finish as a contractor while adhering to Oregon state laws and regulations; it will also help you prepare you for your licensing exam. You can go online or call to register for your exam with PSI. Testing is available Monday through Saturday and there are testing sites located in Aurora, Baker City, Bend, Eugene, Independence, Medford, and Portland. The test is open book, so you can bring along your NASCLA Contractors Guide to Business, Law and Project Management for optimal results. Despite having your manual available to you during the exam, it is still a difficult test that will require prior preparation. The exam has 80 questions answered within the given 3-hour period. You must have a minimum score of 70% to receive your license. Your test results are processed on site and you will know whether you passed or not before leaving the testing center. Oregon is on par with national growth projections within the HVAC industry. 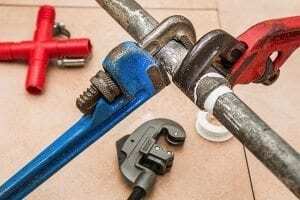 There are currently over 2,500 mechanics and installers working in the state. Within the next decade there will be over 450 more jobs created in the industry. The annual salary earned in Oregon for HVAC techs is $50,000 as of 2014. This is much higher than most other state’s HVAC professionals. It is important though to take into account the higher cost of living in the state of Oregon compared to other states. The highest paid HVAC professionals work in the Eugene area averaging $54,300 a year. Mount Hood is not far behind Eugene coming in at $54,100. Salem HVAC techs make, on average, $43,300 annually. Major cities aren’t the only areas for high paying HVAC work in the state though, Coast towns average $48,970 for HVAC salaries. Non-Metro areas around Salem also offer high wages for professionals. While it is not required that you have your license if you are not a contractor in the state of Oregon, it can most certainly beneficial. You can make yourself an invaluable member of a company if you are the designated RMI and have completed your application and exam process. This can lead to higher wages and more opportunities to take on bigger and bigger projects. The more successful your company is, the better payoff for employees. If you are not an employee, but looking to transition into becoming an HVAC Contractor, it is imperative that you receive your CCB or have a reliable team member do so. If you are just getting started in HVAC straight out of school or just finishing up your apprenticeship, you can gain more hands on experience, which can help you decide if you would like to work in residential, or commercial, or pursue a dual license. Oregon HVAC professionals make well above the national average in the industry, making the state a great place to work as a technician or installer. I was looking for locations to take the EPA 608 certification exam and clicked on a link, “How to Get Your HVAC Certification in Oregon – HVAC Training 101” which brought me to this website. The only thing this website provides is information about licenses and schools. It does not provide information about how to get certified. In some places licensing is referred to as certification. We do have an extensive section on EPA Certification as well, which you can find in the menu bar. However, we do not have a list of sites to take the EPA tests because the EPA only provides a list of national organizations and they themselves suggest that you call them to find out where local tests are. Those locations and schedules are constantly changing so there’s no way we could keep up with it.